The last time I attended a college, it involved the purchase of pens, pencils, highlighters and shiny lever-arch files from my local Woolworths. This time round there is no Woolworths to help me out, plus trying to source a pair of steel toe cap and midsole ladies workboots has proved a challenge. 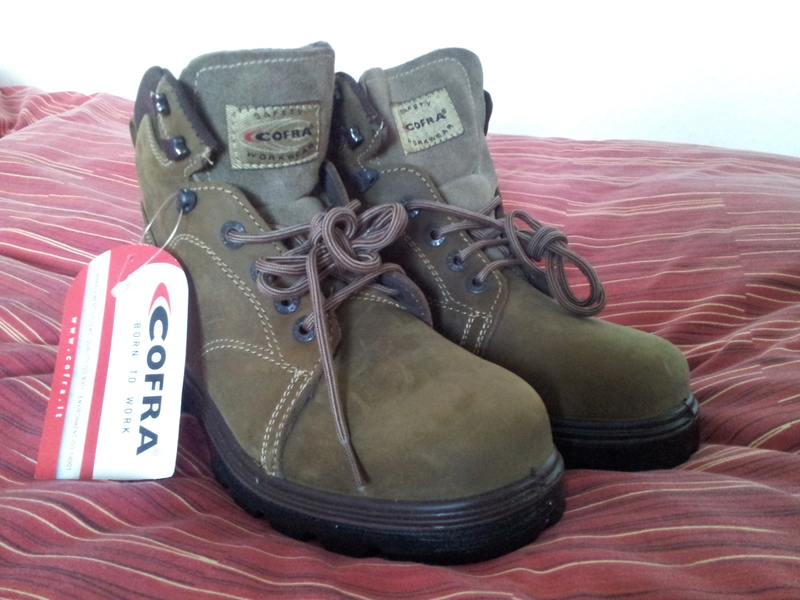 However, I am now the proud owner of some deep brown Cofra boots. I adore them. On the advice of my tutor, I am holding off the purchase of my horticultural knife and secateurs, but he mentioned the brands Tina and Felco respectively. I am still researching overalls/boiler suits. I don’t really know the difference, but have found there is not a great deal of choice for affordable ladies specific workwear. I am currently eyeing up a smart navy with red trim overall designed for women, which also happens to be the only one I have found for women that is in stock. My heavy book purchase of the week is the RHS Plantfinder 2011/2012. There’s a whole lot of Latin in there. I am resisting the urge to buy anything else on the reading list until I see the newly spruced up Merrist Wood College library, which was a work in progress during my visit there in June. 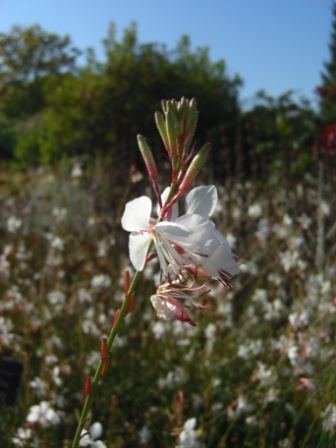 My plan is to share my progress from novice gardener to horticulturalist through this blog and I promise I will do my best to avoid using the words ‘journey’ and ‘passionate’ at all costs. Now, where’s my thesaurus? i wish you all the best. Both with your blog and your gardening. The law is not the best place these days, take it from one who knows. There is too much “we have to make money” and time recording, the idea of helping people seems to come second. I would much rather be gardening. Thank you. It’s a real shame isn’t it. Law changed a lot between me starting out and then qualifying. I guess I did too in that time. I am so excited for you! I recently moved down to Tasmania, Australia from the UK and I was working for a bank in the big smoke. I wanted to give it up and spend more time with my two young boys. I am at college two days a week studying horticulture Certificate II and I totally love it. I have a background in politics and leaving this life behind has seriously been the best thing I have ever done! I have fallen in love with flowers, plants and all things green. I am going ont o study Horticulture III next year and am in the process of establishing my own hazelnut orchard. Good luck. I too recently started a blog tassiefarmer.wordpress.com if you would like to take a look. Finally, just an opinion, I have bought a pair of Felco’s (No.7’s) and they are amazing. All parts of them are replaceable, they are easy on the hand and will last you a lifetime. I got your message via email today at the office and have been itching to get back to you (wordpress at work is a definate no no, as is twitter). Your own hazelnut orchard! That sounds incredible. I’m currently harbouring thoughts of my own nursery, but keeping an open mind. Kate Bradbury’s comments on here ring true in terms of finding out what I like and what I like less during the course. I really appreciate the Felco’s tip. No doubt I’ll be posting a picture of my shiny new secateurs when I purchase them. I have a week between finishing my office job on Friday and starting my horticulture course. Apart from moving house from Isle of Dogs back to Surrey, I will make sure I catch up on your blog and the others mentioned here in the kind comments I’ve been receiving. What a wealth of knowledge there is out there!